Let us do your Spring Cleaning! While spring cleaning may not be everyone’s favorite thing to do, it is a necessity and quite satisfying once complete! Spring cleaning not only applies to the inside of your home, but the outside also. After a harsh winter, your home’s exterior needs some TLC. Maintaining curb appeal is crucial. 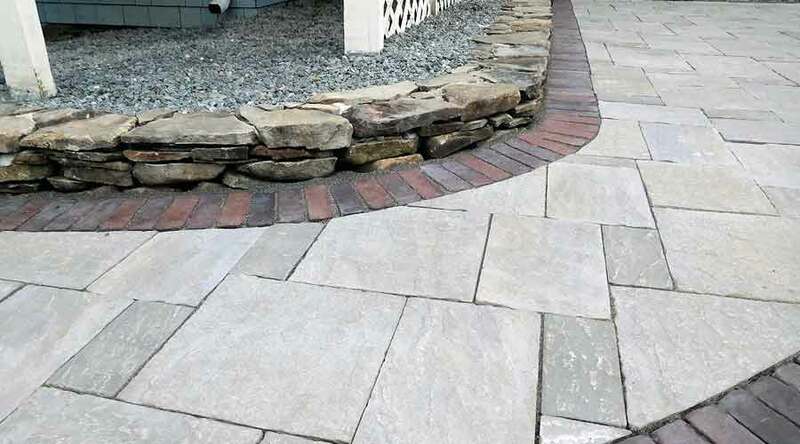 Whether you are staying on top of already completed outdoor projects, want to add something new, or need a simple application of paver sealant, your landscape features are Courtyard Concepts’ top priority! Now that spring is in the air, you may be reminded of the outdoor projects that have been on your to-do list. 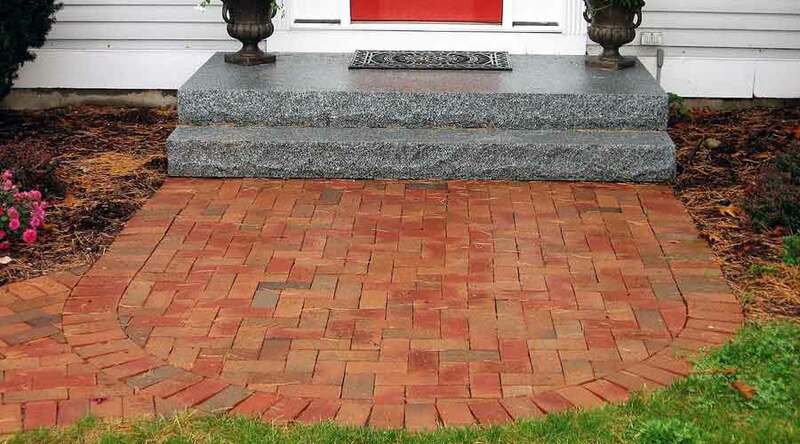 Why not add a homey aesthetic look with a new paver patio or impressive entryway? Maybe you want to warm up your outdoor space with an all season functioning fire pit or enjoy the quaint charm of stonework? Whatever your project entails now is the perfect time to complete it! Spring into the outdoors with natural beauty! Courtyard Concepts offers a variety of outdoor home improvement features to fit your style. Steps: Steps add beauty and strength to your home. Whatever the design, steps can be the spotlight of your entryway or simply encourage exploration by providing access to your outdoor environment. Walkways: Our custom walkways make a great first impression and can be the most important element of your landscape. Create a welcoming and inviting pathway to be admired by all. Patios: A patio is an outdoor spot used for a variety of activities. If you are looking to transform your outdoor area into a functional and unique haven that can be enjoyed year-round, consider installing a custom patio that is built to fit your lifestyle! Fire pits and grills: Want to enjoy your outdoor living space even more? 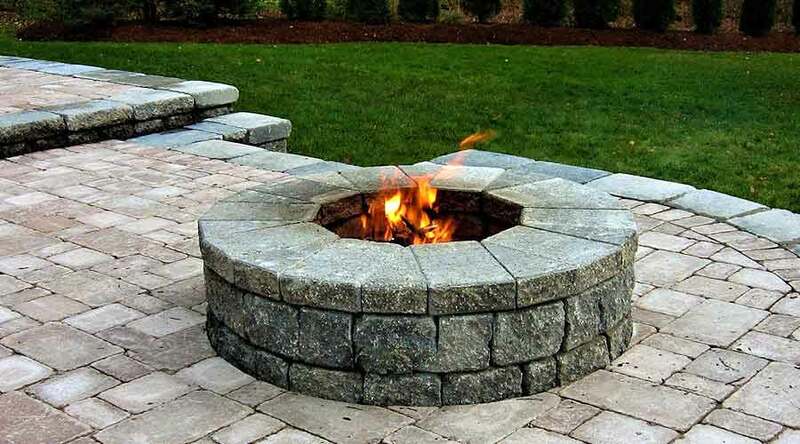 Consider adding a unique fire pit or grill to take outdoor entertainment & relaxation to a new level! 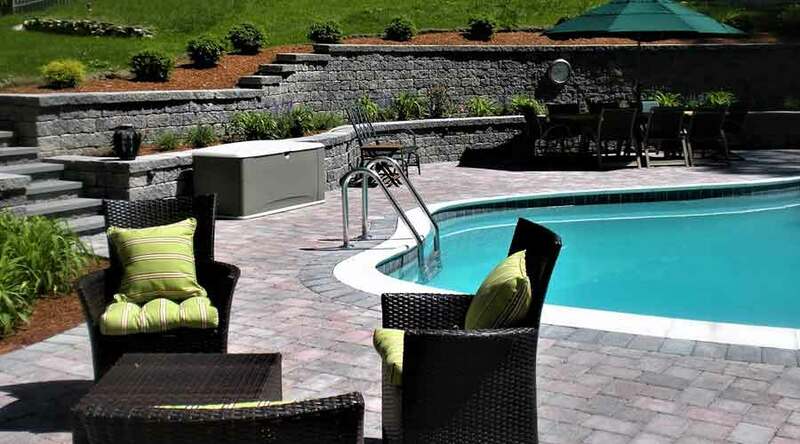 Stonework design: Complement your outdoor oasis with professionally crafted stonework. Authentic stonework features add value and luxurious appeal to your home. 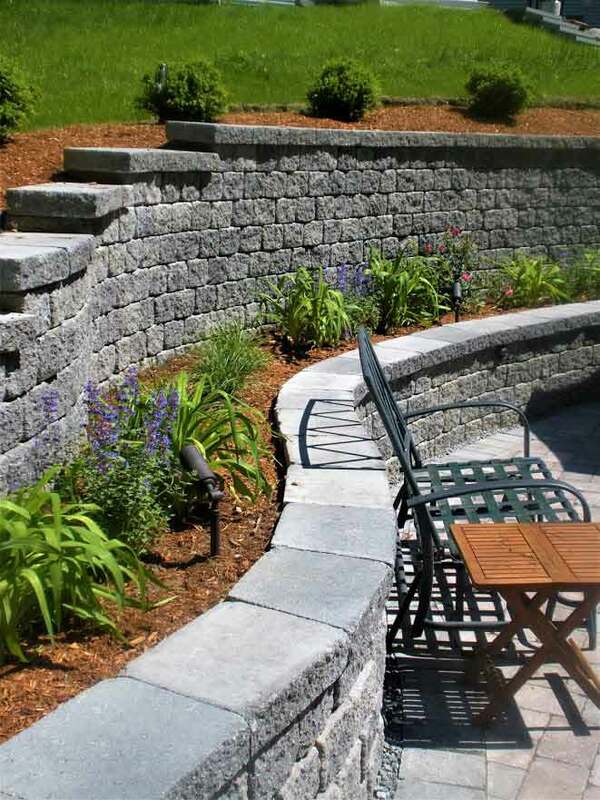 Retaining walls: Courtyard Concepts can help reduce the slope of your yard, prevent erosion, stabilize soil, and retain water with a durable retaining wall. 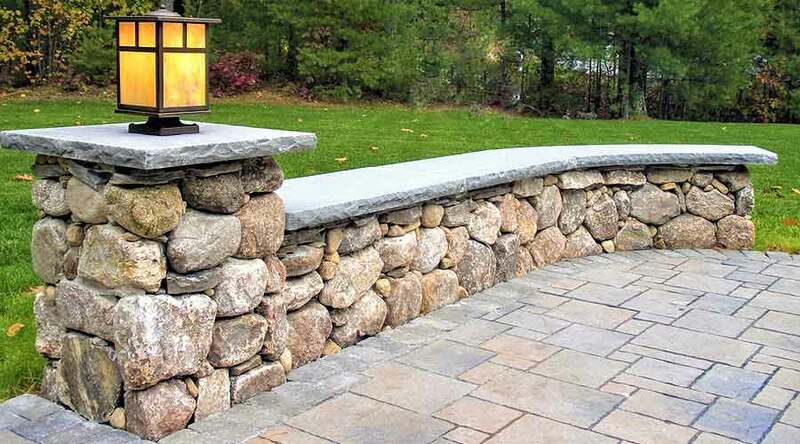 Sitting walls can also be a practical design feature included in retaining walls. 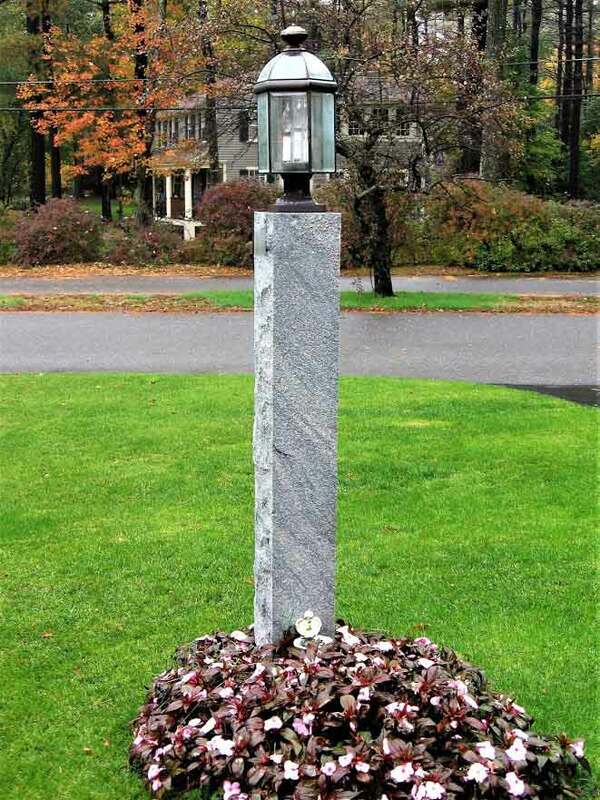 Granite lamp posts and mailboxes: Add some character to your property with an elegant yet inexpensive granite post. These installations give your property a touch of sophistication that will last for years to come! Celebrate spring & enjoy the natural outdoors with a fresh clean look! By investing in professionally installed outdoor features now, you can enjoy these additions to your home year-round throughout all the beautiful seasons. Simplistic or unique, modern or rustic, whatever you choose will be professionally crafted to fit your ideal design! We are here to help you pick the perfect design to enhance your home. Call Courtyard Concepts today for a free consultation and turn your home into the one you’ve always dreamed of! Thank you & everyone for your hard work. The patio looks fantastic! Thanks again. We will be sure to be a referral source for you! Courtyard Concepts installed the patio of our dreams at a very competitive price. The team worked within our design and financial constraints, and then delivered according to the proposed plan. Craftsmanship, professionalism and integrity are the hallmarks of this contractor. 100% Satisfaction! Thank you for a fantastic job on the new patio and fire pit. It is more than we expected. Your crew is very organized and detailed in their work. The finished product reflects the effort the guys put in. Thanks again and we look forward to our new walkway in the spring. Thank you for doing such a nice job on our walkway on such short notice. We really appreciate your professionalism and your willingness to work under really cold conditions. The walkway is beautiful and an amazing improvement over what was there. The steps look terrific. You and your team did an amazing job and we are very pleased with how they look and your craftsmanship. Thanks again for the great work, and for giving our kids the chance to watch! We'll certainly be in touch when we have a need for our next project. "A pleasure to work with." We just wanted to send a well-deserved thank you to you and your crew for a wonderful job on our new patio. Your crew is very professional and was a pleasure to work with. Please feel free to use us as a reference anytime. The workmanship and design is excellent. Your crew was competent and expressed a great deal of pride in their work. Not to mention that at the end of the day they thoroughly cleaned up the premises without leaving a trace of their presence. We are super happy with the work that Tom and team did. The workmanship is pretty much perfect and there were no surprises. Tom is super nice and easy to work with in regards to the design and even accommodated some minor changes for us. We love our new fire pit and seating area! We had a great experience working with Tom and his team, very professional. Overall the result is exactly what we envisioned- great work at a fair price. Highly recommended! Great Experience! We highly recommend Courtyard Concepts. The transformation from this project was incredible. Thank you for making our outdoor living space so comfortable & beautiful! We offer expert craftsmanship, quality products, detailed project management, and a consistent focus on budget and design objectives.